Following the success of the Fire Depot Academy training courses in 2018, Fire Depot is pleased to announce dates for the first courses of 2019. Three days of theory and practical training followed by ‘Theory and practice of servicing portable fire extinguishers in accordance with the requirements of BS 5306 Parts 3 and 8’ examination on day four (invigilated by BAFE). The content of the course covers requirements of BS 5306-3 ‘Servicing and Maintenance’ and BS 5306-8 ‘Selecting and Positioning’. Delegates achieving 75% or more in each of the theory and practical assessments will receive the ‘Theory and practice of servicing portable fire extinguishers in accordance with the requirements of BS 5306 Parts 3 and 8’ examination certificate (issued by BAFE). This is part of the requirements in becoming a BAFE SP101 Registered Fire Extinguisher Technician.” For more information on what the course specifically covers, please click here. A one-day refresher course on fire extinguisher servicing and maintenance. The course will provide trained technicians with valuable updates regarding legislation and standards, innovation in fire extinguisher technology and industry best practice, and will ensure compliance with the recommendations of BS 5306 for regular refresher training. Fire Depot’s Managing Director Laurie Pollard said; ‘As we all know, these days customers are not only looking for a good price but also for a reliable and trustworthy service. In a service-based industry, quality of delivery is key and the idea behind the Fire Depot Academy is to ensure that our customers have access to professional training to keep their skills, knowledge and expertise up to date’. For further information on the courses in April and May and for future dates, please visit the Fire Depot Academy Eventbrite pages. Keeping commercial and industrial premises safe from fire is a huge responsibility. Fire Depot has been the UK's favourite fire safety supplier for over 50 years. We know the fire protection and prevention business inside out. 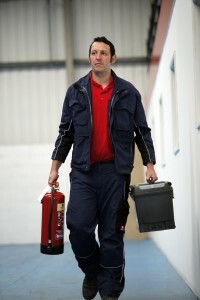 Our experienced team can offer advice and guidance about any product or fire safety application. For expert help and advice , please contact the Fire Depot team on 0330 999 2233, email us at sales@firedepot.co.uk or visit www.firedepot.co.uk to see our full range of fire safety products.